​Piʻilani Village Shopping Center, Chinese New Year. 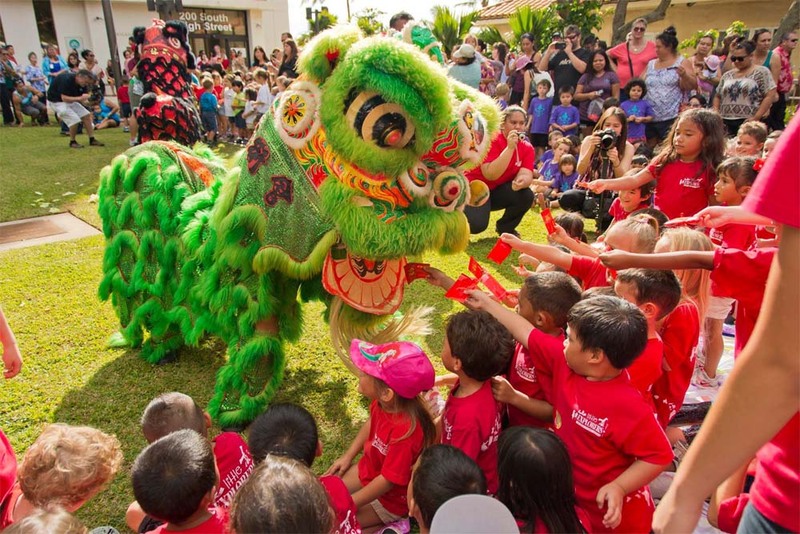 As custom dictates, a colorfully acrobatic Lion Dance will usher in Chinese New Year at the Piʻilani Village Shopping Center on Feb. 11, 2016. 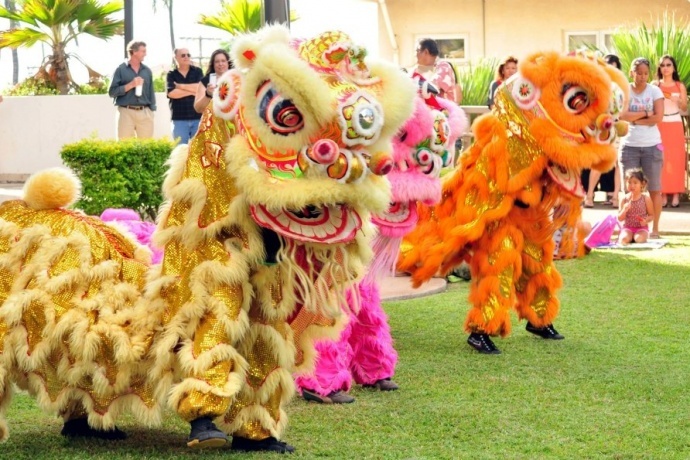 The popular Ben Seng Au lion dancers are scheduled to begin the celebration in the center’s food court area at 4:30 p.m., making their way to each participating merchant to offer good luck blessings. The loud accompanying drums and cymbals are used to help ward off evil spirits, organizer said. 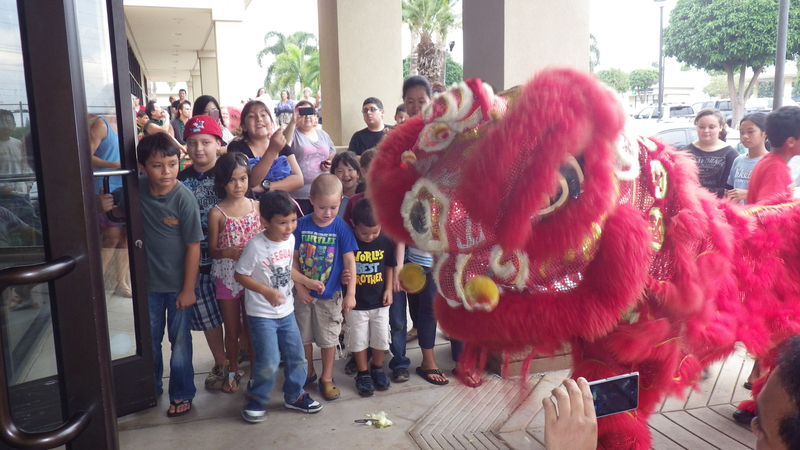 The public is invited to join in the excitement by “feeding the lion” dollar bills to assure good fortune during the upcoming year. Ben Seng Au is a Shaolin martial arts master and director of Au’s Shaolin Arts Society whose members perform the traditional lion dance. 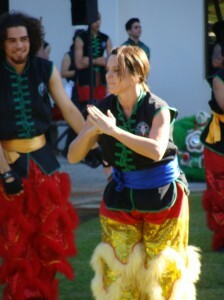 Their movements become an extension of the group’s kung fu skills, which require mental, as well as physical strength and stamina. 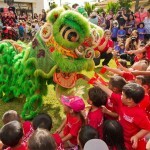 Piʻilani Village is South Maui’s largest shopping center, located just off Piʻilani Highway, in the heart of downtown Kīhei. It features a wide range of retail, medical, financial and dining establishments. 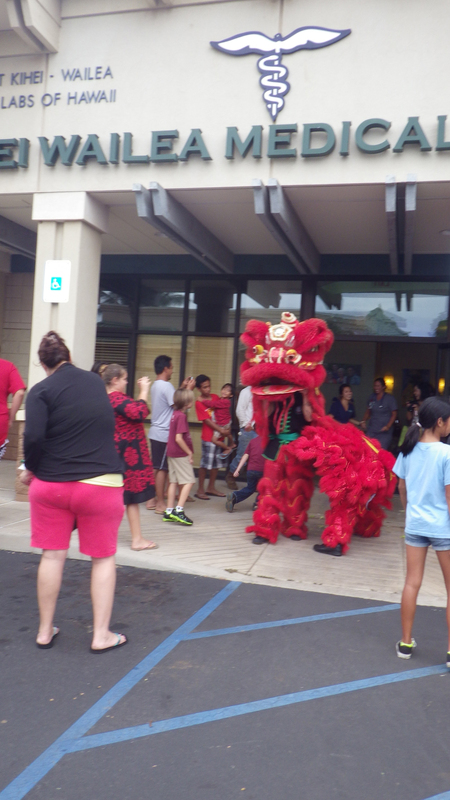 Piʻilani Village Shopping Center Merchants include: ABC Store, Aliʻi Driy Cleaners, American Savings Bank, Ba-Le, Bruddha Willy’s Central Pacific Bank, Clinical Laboratories of Hawaiʻi, Coldstone, Crazy Shirts, GNC, Go Wireless, Island Ice, Jamba Juice Kīhei Wailea Medical, Kimura Physicall Theraphy, L&L Drive-In, Maui Diagnostic Imaging, Maui Tacos, Maui Tropix, Maui Waterwear, Minit Stop, ʻOhana Fuel, Outback Steakhouse, Round Table Pizza, Ruby Tuesday, Safeway, Starbucks, Subway, Supercuts and Verizon Go Wireless.